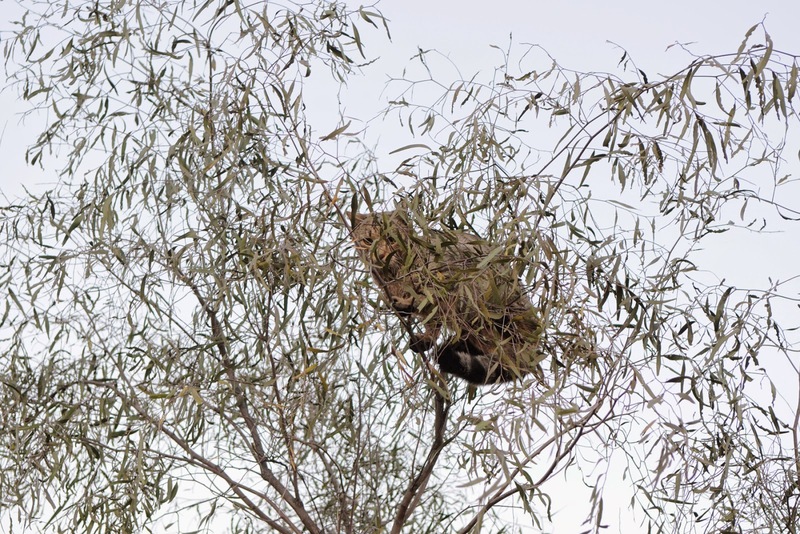 Feral cat in a tree in the Northern Territory. Fact-checking is important, but easily overlooked. Some “facts” are born as estimates, published then cited and regurgitated without being question. This can be very problematic when the topic is emotive, for example the number of feral cats in Australia. Some parties have a vested interest in talking the number up, others have a vested interest in talking the number down. But it seems that there are plenty of sources willing to publish unverifiable figures without considering how indeed such figures were determined or indeed stating that this could be a gross under or over-estimate. We're probably all guilty of this at some stage or another, but its worth teasing out some of the implications. For example, I’ve heard that there are more feral cats in Australia than there are people. That seems like an awful lot. There are up to 20 million feral cats taking up to four native Australian animals a night. That is over 20 billion Australian native species being destroyed a year. GREG HUNT: We're looking at an increase from a little above $40 million over four years to $90 million and what I have done is already spoken to the national head of Landcare. He has said that his groups want to be part of this. But what if the numbers are flawed? When we use big figures to justify spending big figures, shouldn’t we be taking steps to ensure that those figures are as accurate as possible? The ABC’s Fact Check has provided a very insightful discussion here (great reading for anyone who has ever made a grand sweeping statement in an assignment and why your marker has circled it in red and written "source???") suggesting that the evidence base of Mr Hunt's claims in that instance was probelmatic. Of course, it’s unlikely that anyone will be able to determine the absolute number of feral cats in Australia – they can’t really be counted one by one. The discussion highlights some of the challenges of estimate numbers of wild animals in general.